even if his Tefillin are misplaced. You'll need a sound card, speakers, and either Quicktime, or WIndows Media Player. The three major policymakers in America, Rabbis Pinnes (Kotler), Kamenecki and Ruderman, all had one thing in common, they were taught to totally negate the Chassidic movement as nothing more than a country club for simpletons and boors. This important lesson they learned from their auspicious mentor and teacher. Nathan Kamenetsky in his magnum opus, Making of a Godol, cannot contain his glee when he writes of the fact that so many of the students at Knesses Yisroel in Slabodka were of Chassidic stock. He quotes Rabbi Ruderman as answering the question of "how is is that a child of a Chassidishe home can turn into such a Misnaged? "he (Der Alter from Slabodka) made us drop all that". Meaning that according to the principles of Mussar, the morality of Mussar, Chassidus was a waste of time. Rabbi SB Kowalsky, in his memoirs, "From my Zeide's House", describes how he as a student of Ner Israel wanted to go to New York to greet the Frierdige Rebbe who was arriving from war-torn Europe in 1940. The venerable Rosh Yeshivah refused. "It's Bittul Torah." Now here was a young man who "shtammed" from Chassidim, had learned in Tomchei Tmimim in Otwock and was a refugee who had arrived a year earlier, but that was no reason to allow him to go, at least not for RR. There are many more examples, but we'll leave that for another time. and I mean a true Chochom, that the post who said this was somewhat incorrect. The quote was from a letter of the Frierdiger Rebbe, quoting the Mitteler Rebbe. The quote has since been corrected. We can understand from the letter that the Takonoh was made in order that Chassidim should not mix with their adversaries. At that time the Misnagdim would try and discourage people from learning Chassidus, which by that time had become quite "popular" in all parts of White Russia and Lithuania, by publicly debating Chassidim about the errs of their ways. The Rebbe would not have it. 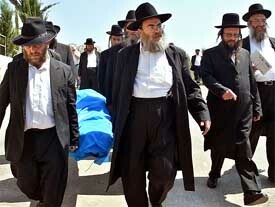 He decided that Chassidim should not come in cotact with their adversaries, even while in Shul, and if need be stay home. The Rebbe goes on to say that he remembers a certain Chossid who lived in Lida who told him that in his town there was no מנין אנ"ש , and other than Elul and Tishrei when he was in Lubavitch he davened ביחידות! 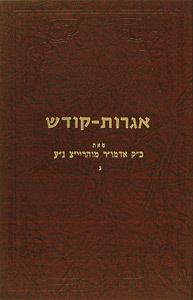 Jacob Mark in his classic work גדולים פון אונזער צייט believes that in near future generations the terms "Chossid" and "Misnaged" will be all but forgotten. Jews will live in peace and harmony, and will build communities of Torah and Chesed. He could not have been more wrong. Misnagdim vs. Chabad, the fiercest rivalry since the times of Reb Yaakov Emden and Rav Yonoson Eibshitz, will seemingly exist as long as Chabad does, which basically means until Moshiach. It has existed through the worst of times, as in Soviet Russia and the Far East, with some exceptions, and through the best of times, as in post WW2 America and Eretz Yisroel. Who to point the balme at is somewhat of a argument, but here's my take. My father may he be well, learned in Telzer Yeshivos for his entire adult life. At that time there were very few records of Jewish music available, with Chabad, Modzitz amongst others out there, and Carlebach hadn't started doing his thing. Some of the Chassidisher Bochurim at the Shabbos table in Yeshivah innocently started a Chabad nigun. The Mashgiach, a young 20-something American-born man, who had recently "Charedified" after leaving RIETS, was livid. He would not have it. This singing must stop at once! Sounds like a harmless story? think again. In 5720, at the time of the story, there had been very little controversy regarding Chabad. Aside from the first Farbrengen I don't think there was something that the haters could sink their teeth in. Yet this young NOBODY found it neccessary to inform CHASSIDISHE BOCHURIM that Chabad is Treif! For him it was to be part and parcel of every Bochur's education under his care, because it was, for him, a lesson in life, something you need to always remember. Now of course every Chabad Bochur gets somewhat of a similar education, but we'll leave that for another time. If you want to know what's wrong with American Charedi Torah Orthodox Jewry? You needn't look any further. It's American-born boors like him who shape the ideals of today's Jews through aspousing nothing but hate for others who don't just watch the waves of assimilation wash away generations of Jews, but rather stand and fight. These people of questionable backgrounds are the "leaders" and "Gedaylim" of the next generation. I yearn for the simpler times. History will one day show that the downfall of most Chassidic groups started when they entered the field of Jewish elementary education, post high school education is a completely different matter. In Eastern Europe not one chassidic group had their own Chedorim or Talmud Teyre. Ger, a huge Chassidus, did not run chedorim in Warsaw, Lodz, Bendin or Plotzk. Belz had no Talmud Teyre schools in Cracow or Lemberg, all chassidic kids learned and studied together. This encouraged a sense of klal rather than sectarian feelings and loyalty. Schools were run by groups like the Agudah, Mizrachi, or baalei batim or concerned parents, not Chassidic courts. More importantly Chassidic Rebbes did not have to cover the huge educational budgets of their movements, a senior Yeshiva is not the most expensive מוסד to run. But we all know that primary and secondary schools are very cost prohibitive. Thus, today all Rebbes are primarily CEO's of their movements or, at best hold a position like a University president whose chief responsibility is fund raising. Imagine a Chassidus where the Rebbe ran no schools except for a kibbutz for 18-19 year olds and a kibbutz for a dozen yungeleit. The Rebbe's concentration would be on "עניני רוחניות." But alas, since they are not פועלי ישועה they have to do something. 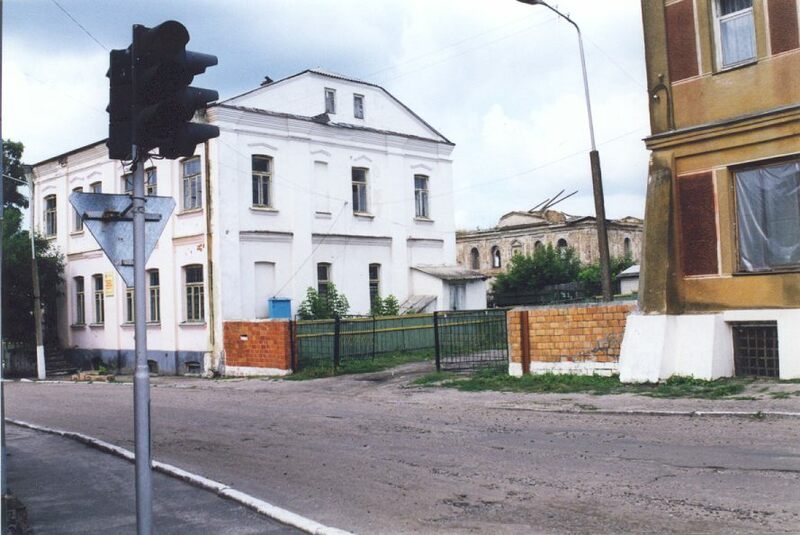 Pshhvorsk in Belgium has no Mosdos, except for the classic Beis Medrash, Hekdesh and free kitchen. Thus, Reb Itzikel did not get involved in chinuch. There are plenty of Ba'alei Batim and Melamdim who can run better schools than a Chassidic movement. Imagine a world where students of different backgrounds studied together. Stoliner , Lubavitcher, Gerer, Breslover and Slonimer studying together , and learning to tolerate different Minhogim and viewpoints. I have heard and read enough. I'd like to hear what your opinion is on the lecture, and if he's convinced you that the original Misnagdim who ratted to the Czar were not such terrible guys after all. CE, you need to get yourself a sound card and a set of speakers. Russian mathematician; born at Salaty, government of Kovno, 1846; died at St. Petersburg Feb. 9 (21), 1876; son of Israel Salanter. 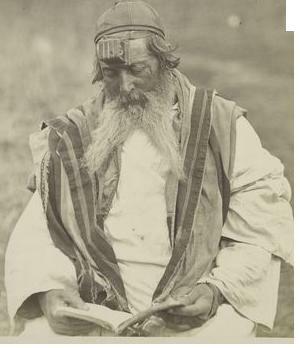 Lipkin's early training consisted in the study of the Bible, the Talmud, and other religious books. At an early age he began to show a decided inclination for scientific subjects, particularly mathematics. Not knowing any European language, he had to derive his information from Hebrew books alone. Notwithstanding the incomplete nature of such sources, and without other aid, Lipkin not only succeeded in mastering the elementary sciences, but also acquired a knowledge of the higher mathematics. He also began the study of modern languages, especially German and French. Subsequently he went to Königsberg, where through the influence of Professor Rischelo he was admitted to the lectures. 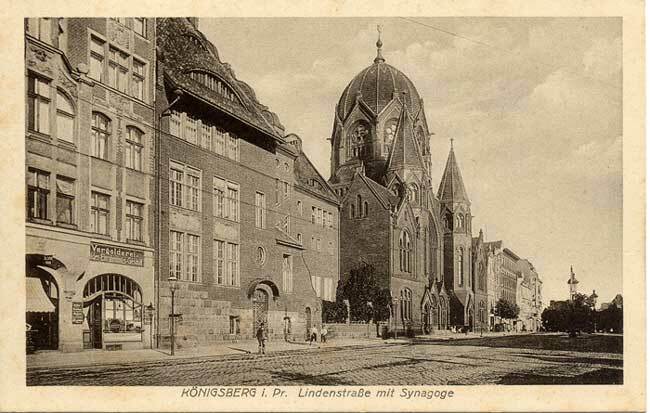 Somewhat later Lipkin entered the Berlin Gewerbe-Academie, and then Jena University, where he received the degree of Ph.D., his dissertation being "Ueber die Räumlichen Strophoiden." From Jena Lipkin went to St. Petersburg, and because of his great ability was permitted to take the examination for master of mathematics in spite of the fact that he possessed only the degree of "candidate," had not studied in any Russian school, and was not even thoroughly conversant with the Russian language. In 1873 he passed his examination brilliantly. His dissertation was almost completed when he was attacked by smallpox, of which he died. Lipkin never lost his deep interest in purely Jewish affairs, as is shown by his contributions to "Ha-Tzefirah." Where to put the Kiddies? "I have some questions about Chinuch. Boruch Hashem I have kids in various (Boro Park) schools, and I have struggled to figure out what my kids are getting vs. what are they supposed to be getting. My girls are taught so little that I wonder if the goal is to teach them not to think. I admit that this is a supposedly Chassidishe school, and I’m sure that less Chassidishe schools will impart more Torah in the education. From people I’ve spoken with I hear that in Crown Heights they have much more תוכן, daven more, learn more, etc. Why can’t I find a frum school that intends to educate my daughters? Boys in Heimishe Yeshivos have learned that Yiddishkeit equals rules. I don’t have them in front of me, but my son brought home 15 pages of forbidden activities in small type. Does someone think this is normal? These kids sit for umpteen hours a day, they learn that G-d is mean & strict, and to hate learning. These kids are mostly frustrated, stressed out, and practice miserable Judaism. I’m shocked that even half these kids stay frum. What is wrong with the educators? Is this a hard problem to recognize? The Heimishe schools teach it, but it’s basically a joke and a Chilul Hashem. Can’t this be done in a more serious way? If you’re going to teach it, why not do it like you mean it? What is supposed to be done? I think that my kids that can’t do simple arithmetic have been dealt a tough blow. Since when is adding, subtracting, multiplying or dividing antithetical to G-d? If you don’t want to teach Social Studies, I can understand that. But Mathematics?? I personally want my kids to learn math and even reading and writing English. I understand that the Rebbe was against Limudei Chol, but I can’t see how arithmetic is Limudei Chol. As to other subjects, I don’t understand what the Rebbe meant anyway." "ונוסף ע"ז והוא העיקר אשר בשבת הוד כ"ק אדמו"ר האמצעי על כסא הנשיאות בליובאוויטש (בשנת תקע"ד) נתן צו ופקודה לכל העיירות בפלכי רוסיא הלבנה שהחסידים יבנו להם בתי תפלה ביחוד, ולא יכנסו להתפלל אפילו באקראי בבתי הכנסת ובתי מדרש של המתנגדים, והעובר על זה יענש בריחוק. והיו מקרים אשר האדמו"ר האמצעי צוה לאנ"ש הדרים בעיירות אשר לא הי' שם מנין אנ"ש שיתפללו ביחידות, וקריאת התורה לשמוע מאחורי הדלת או החלון"
Chassidim should build their own Shuls. They should not daven in The Shuls of the Misnagdim even temporarily, or per chance. There were cases that the Mitteler Rebbe told Chassidim in Towns where there was no Chassidic Shul that they should Daven on their own without a Minyan. and they should hear Krias HaTorah through the door or window. I did say "some current events"
I must admit that I wasn't excited about posting this. Rabbis Amar and Metger are both close friends of Chabad, with the former even attending Chabad schools in his native Morocco. However, reader "bpunbound" convinced me. "The Rebbe was against it", he said, מ'דארף מאכען א מחאה!, so here goes. At the time the Chief Rabbis were Rabbi Mordechai Eliyahu and Rabbi Avrohom Shapira. HaRav Eliyahu was, and is, considered a great friend of Chabad and yet the Rebbe did not spare him. I guess I should do the same. The Rabbi, Reuven Mintz, is in the middle. They've joined together to raise money for UCLA Parkinson's Disease research and for Katrina victims. In recent history no newspaper has tried so hard to please so many as the "English language HaModia". They have tried to acquire the readers who up until now have not read any English newspaper, The Yated Ne'eman readership, as well those who have, but and want a more "Torah-minded" paper. The Jewish Press just doesn't cut it. One of the, might we say, side-effects of this endeavor is that when they try to please some, others are offended. By this I mean that they offend and ignore Chabad just about to the max. Now before you jump out of you seat and scream "Tzig, what do you want, Chabad has their "own" paper, and besides, they don't read it anyway! ", listen to this. In this weeks coverage of Hurricane Katrina they had a feature on the Jews affected by the Hurricane and on the Jewish response. They speak of a certain Rabbi Yisroel Schiff of Congregation Beth Israel. From what I've heard from people who've visited New Orleans on many occassions the Shul is not what you'd call a very vibrant one. It's what you'd call a local Shul that very much keeps to itself and serves the current membership. From what I understand it's also a "dying" Shul, much like the city is. I would imagine also that most Jews in The Big Easy have never heard of Congregation Beth Israel and of its esteemed Rabbi. According to Rabbi Zelig Rivkin of Chabad New Orleans, and the skeptics among you can be skeptical, there are 10,000 Jews in greater New Orleans, of which 5,000 are in his Data bases, 400 families are cosely affiliated with Chabad, and 40 are what you'd call "full-fledged" Chabad families, namely Baalei Tshuvah. I would say that would make him somewhat of an authority on the situation there, especially concerning Jews. Why then give Rabbi Rivkin a short paragraph and the others a page and a half? Why is it important for us to know about every Yungerman from this Kolel in Dallas or that Kolel in Houston who went to the relocation centers in Texas to visit the refugees and to completely ignore Rabbi Rivkin's extensive activities with refugees and his loss of Shul and property? Why report on everybody's losses and needs but his? Is he not deserving? Why does very event, even the tragic ones, have to be covered only from a political standpoint? If they purport to be a Newspaper for Torah Jewry and not the Aguda Yisroel then cover the stories like they should be and like they happened! Please don't tell me about Chabd newspaper doing the same thing because that's what they are, PARTY NEWSPAPERS AND WEBSITES! they report what "they" have done. Am I being too "simplistic"? Look closely at the above picture. This bloke is filling his car in Liverpool, England. He's paying 26.35 GBP for 5 and 3/4 gallons. In US dollars that would be $8.34 per gallon! National health isn't worth it. Besides, how often does one visit a doctor already? I remember reading about one of the sons of Reb Yisroel of Stolin, a.k.a. "די ינוקא", די פראנקפורטער"' Reb Osher was his name. Not much is said about him in the annals of Karlin-Stolin, but this much I found. "A talented musician, his gifts won the acclaim of musical authorities, and he went to study at the conservatory in Berlin." If you'll ask any Stoliner he either won't know beause he's an American boy, or he won't tell you if he knows. I have great admiration for many of the aspects found in today's Stolin, but would like to know more. When did this take place, before or after his father's passing? Where can we find official records of his attendance? I do not mean to "expose" neither him nor any other member of his family, I just would like to know. "I need 500 buses, man," he told WWL. "One of the briefings we had they were talking about getting, you know, public school bus drivers to come down here and bus people out of here." "I'm like - you've got to be kidding me. This is a natural disaster. Get every doggone Greyhound bus line in the country and get their asses moving to New Orleans." While Nagin was waiting for his Greyhound fleet, Katrina's floodwaters swamped his school buses, rendering them unusable. ABU DHABI — OPEC has asserted that oil production by the 10-member organization has exceeded global demand. OPEC president Ahmed Fahd Al Sabah said members have been producing 30.4 million barrels of oil per day. 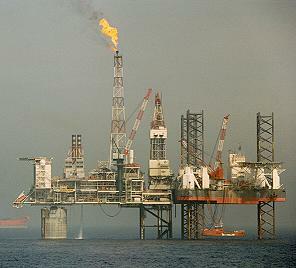 Ahmed, the Kuwaiti oil minister, said this was one million barrels per day over market demands. "This production is more than the market needs to allow the building of strategic and commercial stocks in order to stabilize prices," Ahmed told the official Kuwait News Agency. Oil prices have exceeded $70 per barrel amid jitters of lack of supplies. OPEC oil ministers were scheduled to meet in Vienna on Sept. 19 to discuss production. So let me get this straight: The price hikes (skyrockets are more like it) before Katrina were supposedly because of high demand from China, India, and other developing countries. Now they say that they have too much? Are they gonna cut production now? The Jewish world was saddened last week by the murder of 21 year-old Shmuel Mett of London, England. Shmuel was a תלמיד of the Mirrer Yeshivah in Yerushalayim, and despite the Yeshivah's size, was well-known amongst the students. If any Yeshivah in the world would dispel the myth of Chassidishe Bochurim not learning or knowing "how to learn", it would be Mir-Yerushalayim. The same could be said for the murdered Bochur, a self-made גערער חסיד who was a Masmid in his own right. Yet this old time Misnaged could not forego the opportunity to do some regular, good old-fashioned Chosid-bashing. The good Mashgiach was asked to sum up the קדוש in a few words and this was his response. הוא הי' עובד, זה הי' בדרך החסידות, אבל עובד, Translation: that even though he was a Chassidishe Kugel Fresser, or in this case, Herring-Fresser, he was surprisingly still aware of his obligations to his creator and tried to fulfill them. Even though Chassidim in general don't believe in Avodas Hashem in the way it should be done, Still this Chossid did his darndest to please his maker in the foolish way he'd been taught to do. People wonder why Chabad still uses terminology like "Misnagdim" to describe Litvishe Yidden who seemingly have nothing "against" Chassidim as a whole, Chabad not withstanding. I'll be the first to admit that the term is overused when convenient, and misused, for instance when referring to Modern Orthodox Jews, but in this case it surely wouldn't be. Well folks, here's your answer. It's nice to see we have lots of work to do. WWL TV. I'm watching people who have never had much and have now lost everything. They speak to reporters and tell them their stories of how they survived the storm and the rising waters. All they have left now is the shirts on their backs, and yet they speak of G-d's mercy. "By the grace of G-d I had some space to breath in before help come and get me." "G-d showed us mercy" and so on. הלומד מכל אדם I guess would apply here too. Would we be so thankful if G-d forbid it would happen to us? I don't mean Chas Vesholom to speak ill of our brothers and sisters, but we need to learn a lesson in life from the survivors of Katrina.